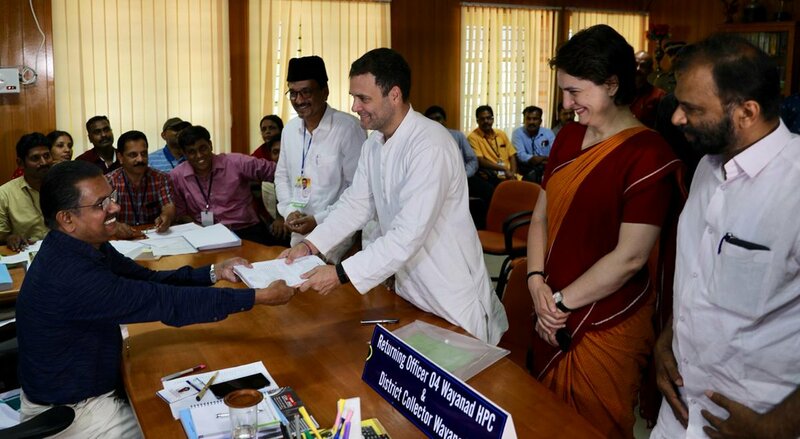 Wayanad: Congress President Rahul Gandhi on Thursday filed his nomination papers from Wayanad Parliamentary constituency in Kerala for the upcoming Lok Sabha elections. The Congress chief landed here with his sister and AICC in-charge of eastern Uttar Pradesh Priyanka Gandhi Vadra this morning and headed to the Collector’s office here. After filing his Nomination papers, Gandhi began a roadshow to mark the beginning of his poll campaign here. A massive crowd of Congress workers and supporters carrying party flags greeted him during the roadshow. 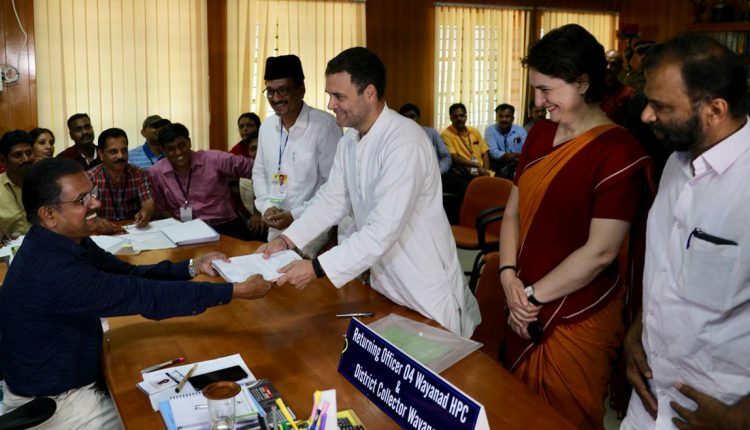 Last week, the Congress announced that its President would contest from the southern district in Kerala in addition to the Amethi constituency in Uttar Pradesh. BJP has fielded Smriti Irani from Amethi Parliamentary constituency to challenge the Gandhi scion in the upcoming Lok Sabha elections.